We are interested in what you have to say and look forward to hearing from you! For a map and directions, please scroll to the bottom of the page. 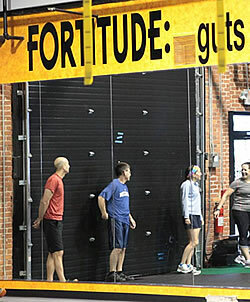 Are you an employer and would like to add The Fort as a wellness benefit for your employees? Do you have ideas or feedback to share? A testimonial or class experience to share? Please contact in any way that’s most comfortable for you – email, phone, or by filling out the form below. If asking about Small Group or Individual Personal Training, specify Resolve, Evolve, Youth, or CycleStrong as well as desired days and times.